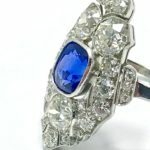 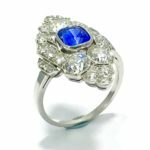 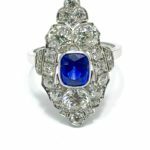 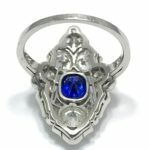 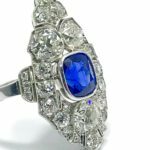 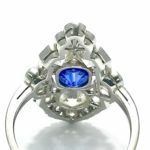 This is a stunning Art Deco natural no heat Sapphire and Diamond platinum ring. 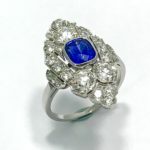 The sapphire is cushion in shape, and bezel set with a milgrain edge. 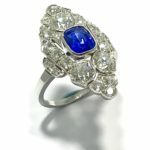 It measures 6.90 x 5.80 x 4.90 millimeters, and weighs approximately 1.72 carats. 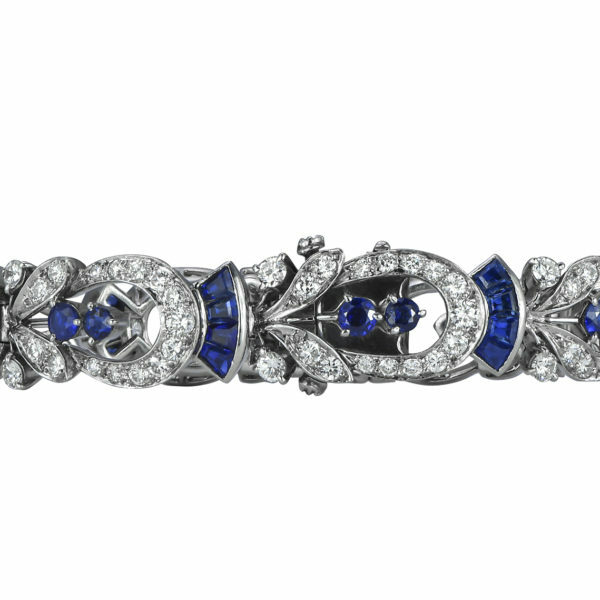 The sapphire is set with 27 old European cut Diamonds that have a total weight of 2.05 carats, and are graded as H-I color, VS clarity. 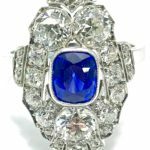 The Sapphire was examined by the American Gemological Laboratory and determined to be of Ceylon origin, with no evidence of heat.